@Surf dog Ricochet, the SURFice dog! 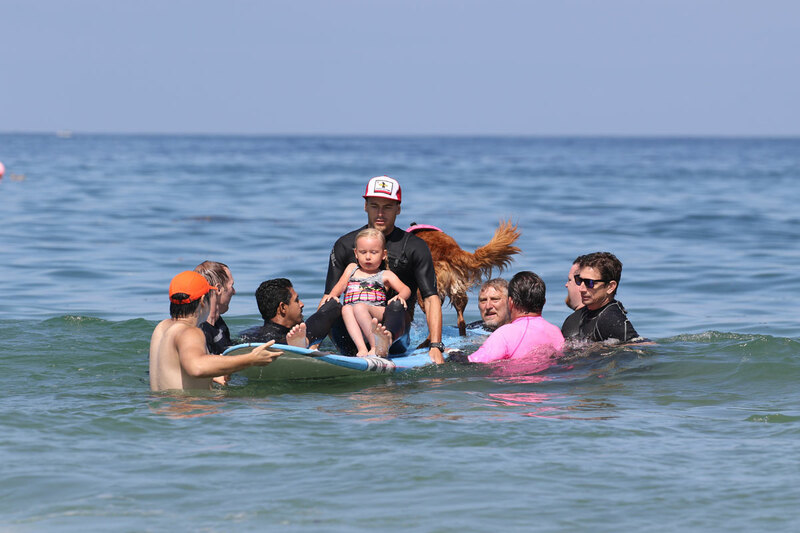 breaks barriers by surfing with severely disabled 3 year old girl who has tracheostomy/breathing tube on board. 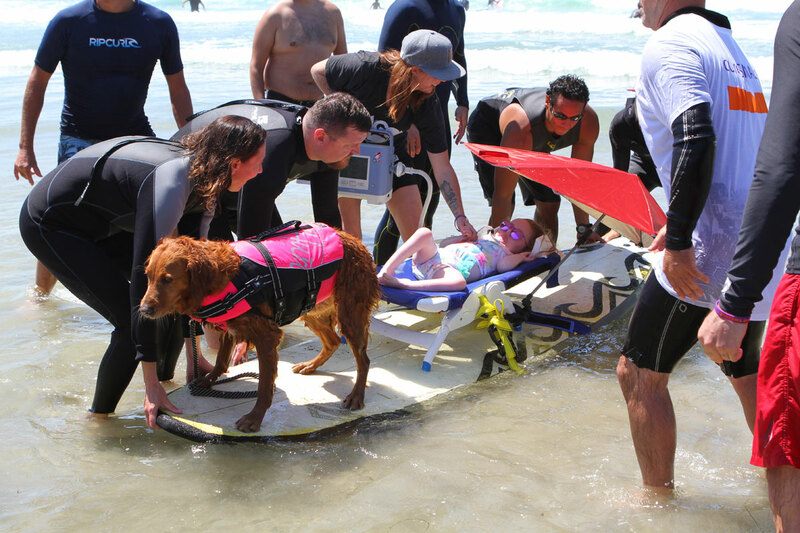 This surf session brings joy to children with Spinal Muscular Atrophy (SMA). 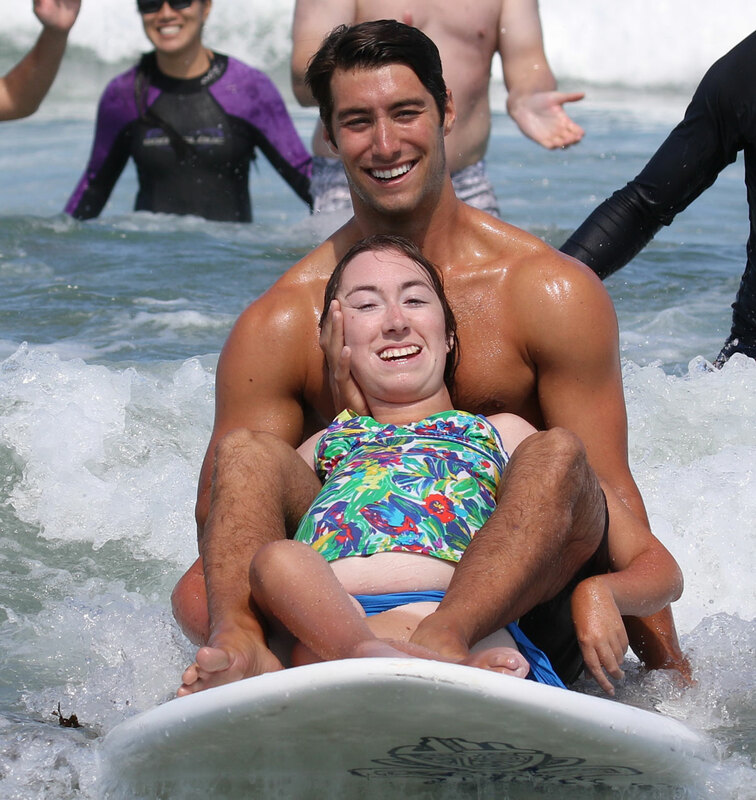 Ricochet has been creating unique surfing experiences that empower individuals with disabilities for over 7 years. 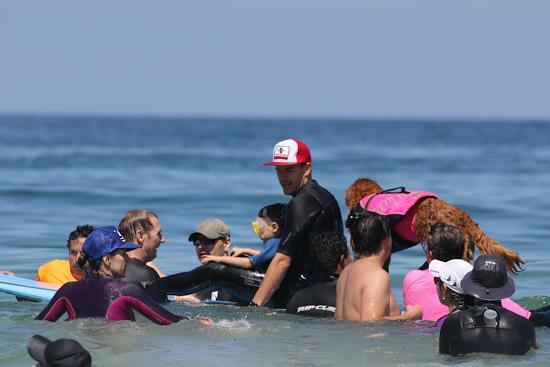 But this was the first time she surfed with a child who couldn’t breathe on her own. Notice that 3 year old Bailey’s mom is holding her breathing machine with a big smile on her face. 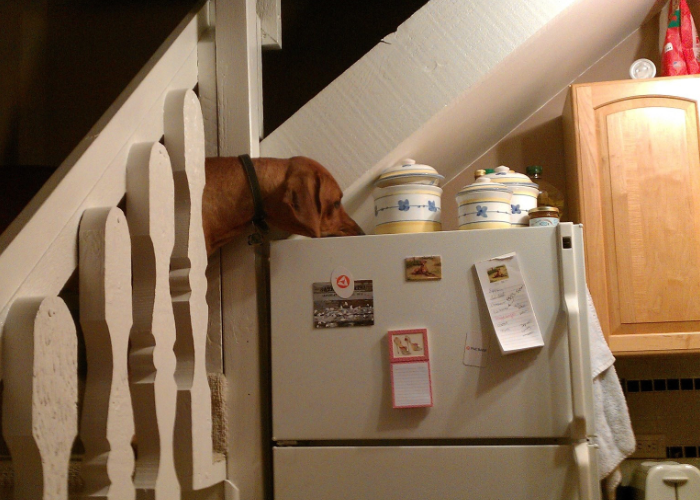 Yes Bailey, YOU are surfing! 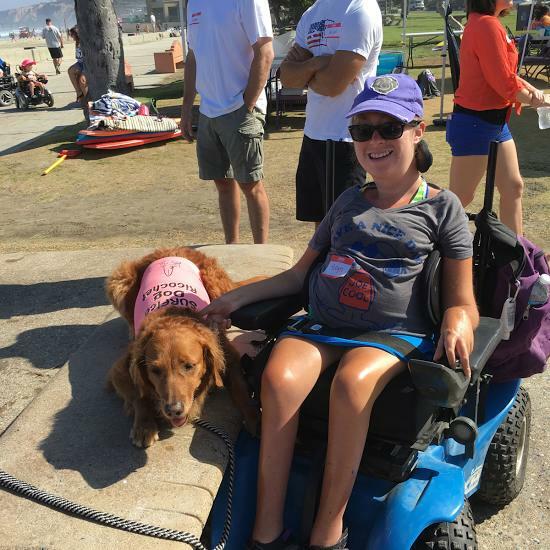 Bailey has Spinal Muscular Atrophy (SMA), a disease that robs individuals of physical strength by affecting the motor nerve cells in the spinal cord, taking away the ability to stand, sit, crawl, walk, swallow food effectively, or breathe. It is the number one genetic cause of death for infants. Bailey has type I SMA which is the most severe and common. 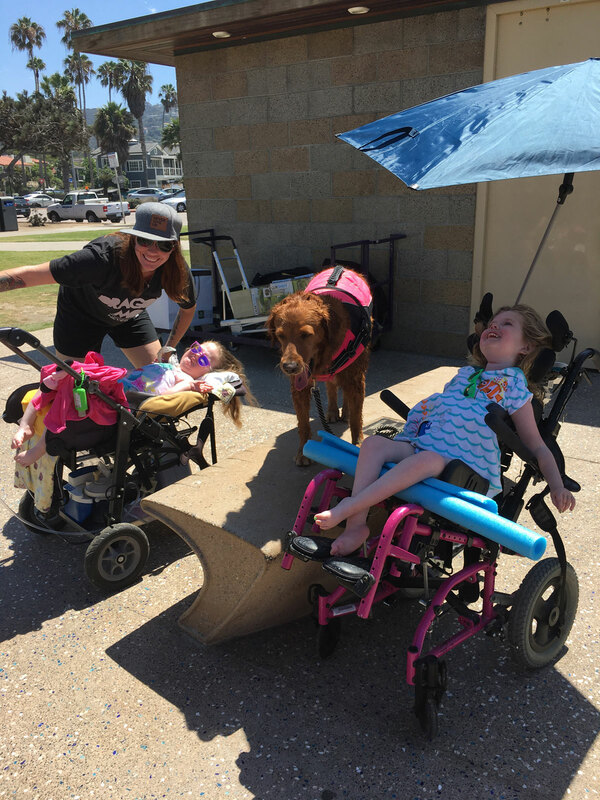 Bailey, along with several other children with SMA broke barriers last weekend at a special surf session with Ricochet and Cure SMA. Since many of the children aren’t able to hold their heads up, a bath chair was attached to the surfboard to accommodate the challenge and keep the children comfortable. 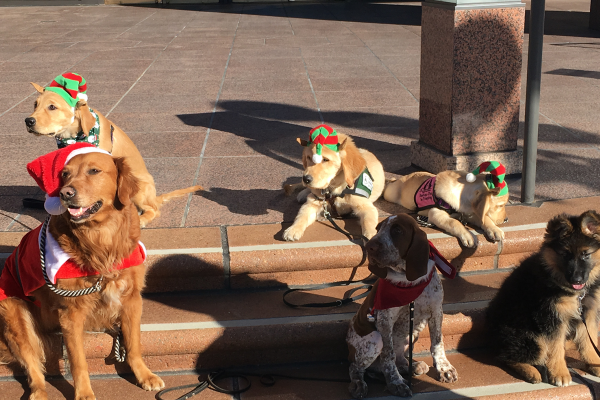 Thanks to an incredible team of skilled volunteers, the participants with SMA got a thrill of a lifetime. Safety is our number one priority and having children who are profoundly disabled takes the utmost expertise of the water team and Ricochet. Some of the children like Bailey have a tracheostomy, a surgical procedure to create an opening through the neck into the trachea so they can breathe. 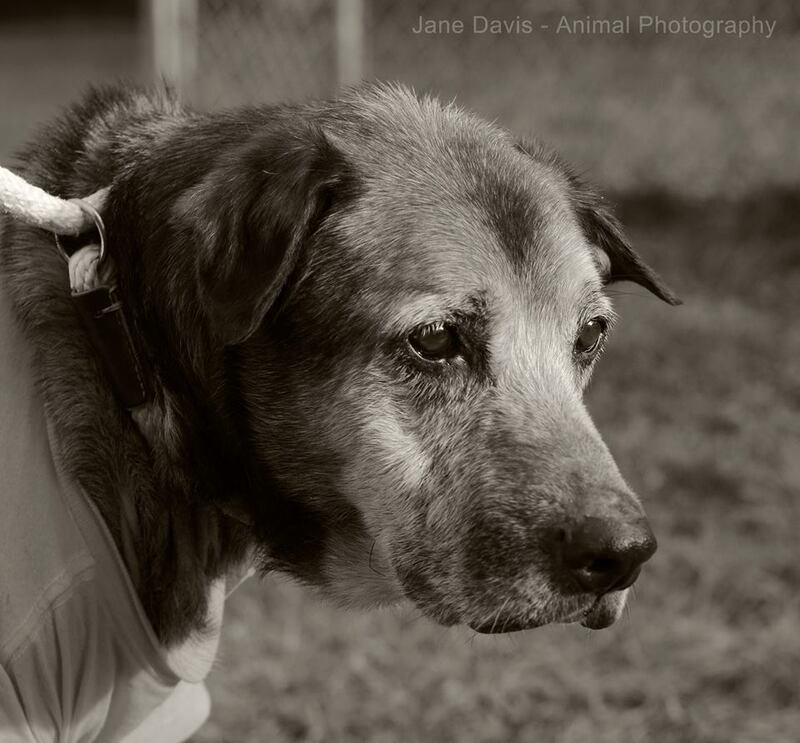 Therefore, getting water into the opening could cause aspiration pneumonia. 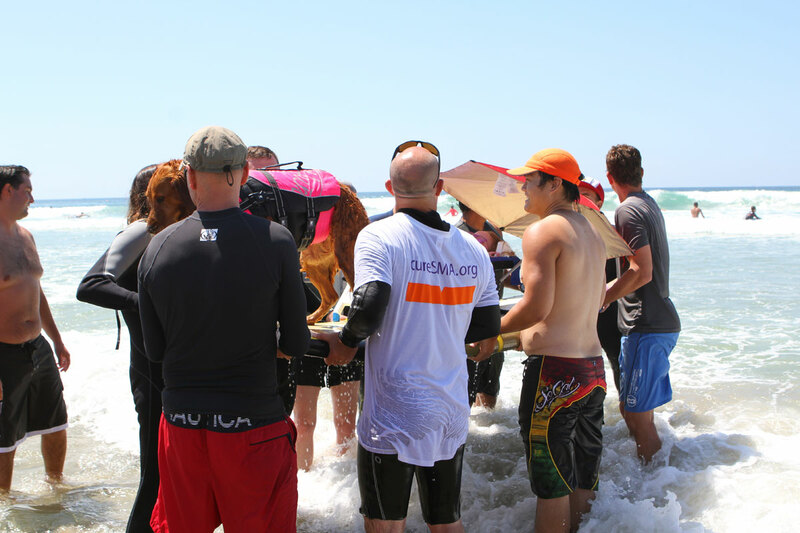 With this in mind, the water team picked the surfboard up each time a wave came into shore. 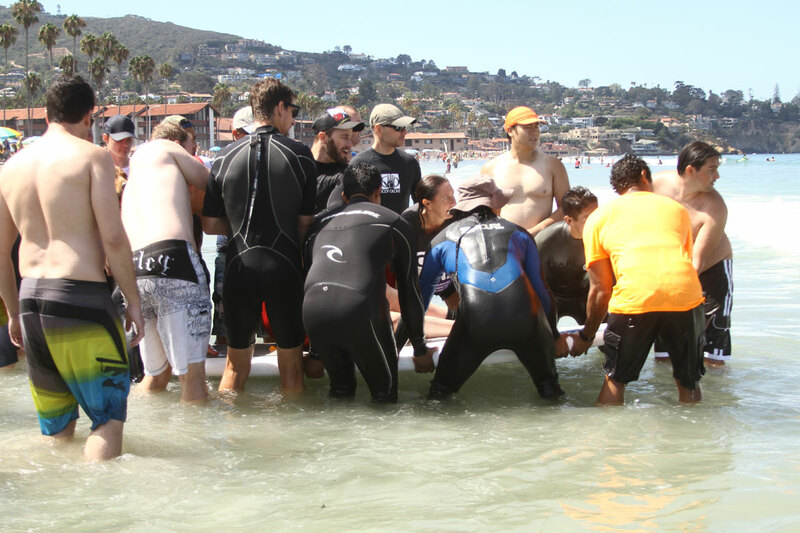 They stayed in very shallow water, and when a small wave came, they strategically lowered the board, and a volunteer held onto the back, walking it to shore. Once the board came to a stop, it was again picked up by the team. 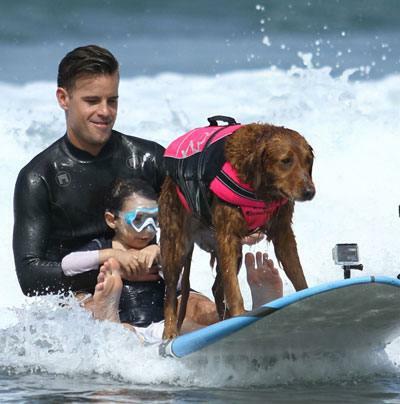 This protocol keeps water from getting onto the child, while still providing the kids a surf experience with Ricochet. 5 year old Riley is Bailey’s sister and has type II SMA. 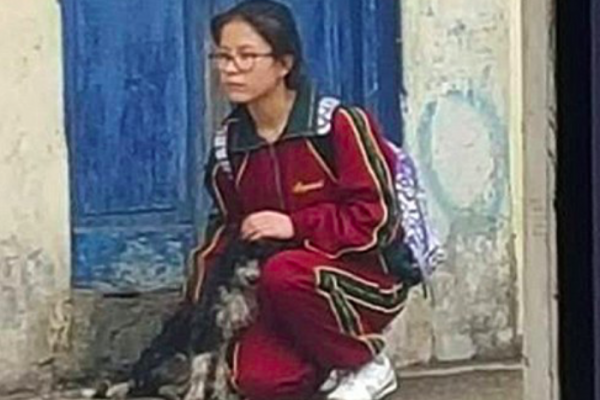 She is weak and cannot hold her head up on her own. But, she was telling everyone she wanted to be first to surf with Ricochet. 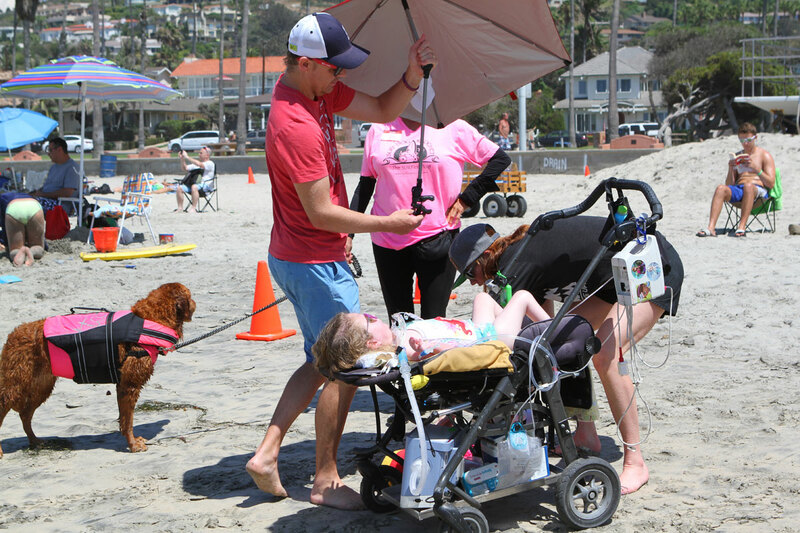 For a child with SMA, going from a stroller full of gear to a surfboard full of cheer gives both the child and the parents the opportunity to do something they never thought possible. Children who aren’t as severely disabled were able to go further out in the water, but safety is still our number one priority so we had a volunteer on board, and a team on the ready. 5 year old Logan wore a pair of goggles to keep water out of his eyes. But he never stopped saying “again, again, again”. 5 year old Avery has type II SMA. It’s often impossible to perform the basic functions of life, but it doesn’t affect the ability to think, learn, or have hopes and dreams. 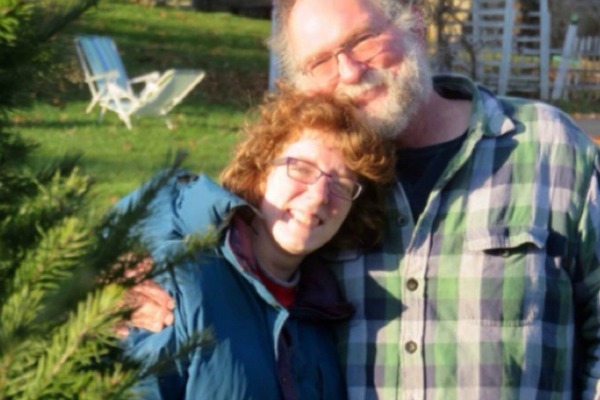 23 year old Robyn has type II SMA. 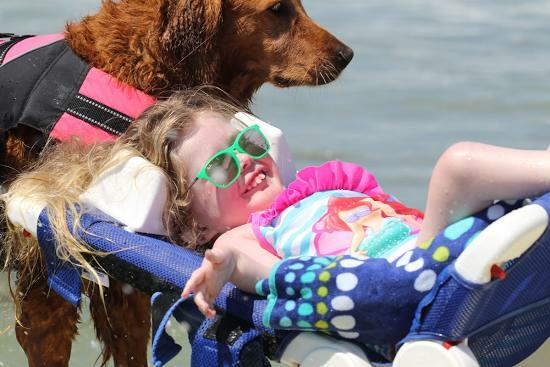 Robyn isn’t able to hold her head up by herself, so her brother supported her head as they rode to shore! 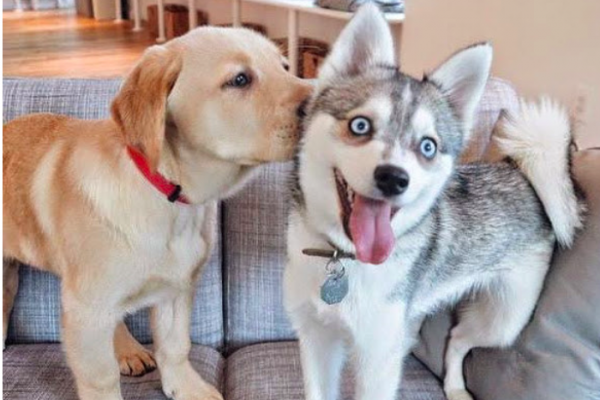 Yawns and smiles = a perfect day! These individuals definitely have a fighting spirit, and just like Ricochet, they believe anything is possible. Surf’s up! There are four primary types of SMA: type I, II, III, and IV. Type I is the most severe and most common. 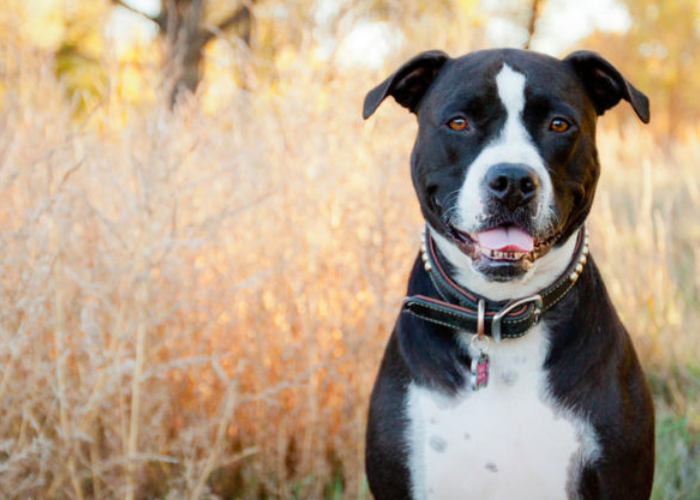 Type II individuals can typically sit up without help, but are unable to walk. Type III individuals can initially walk, but have increasingly limited mobility as they grow. 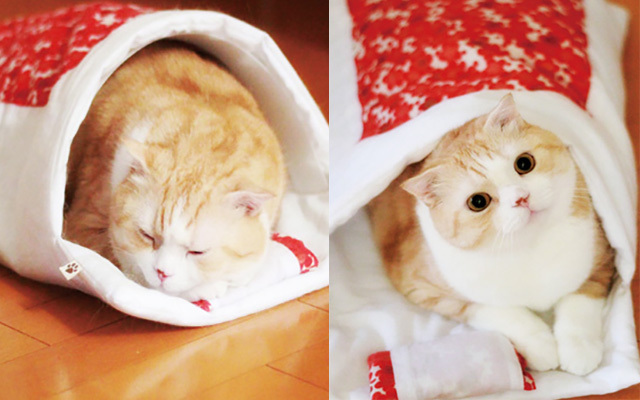 Type IV is very rare and usually surfaces in adulthood. It leads to mild motor impairment. 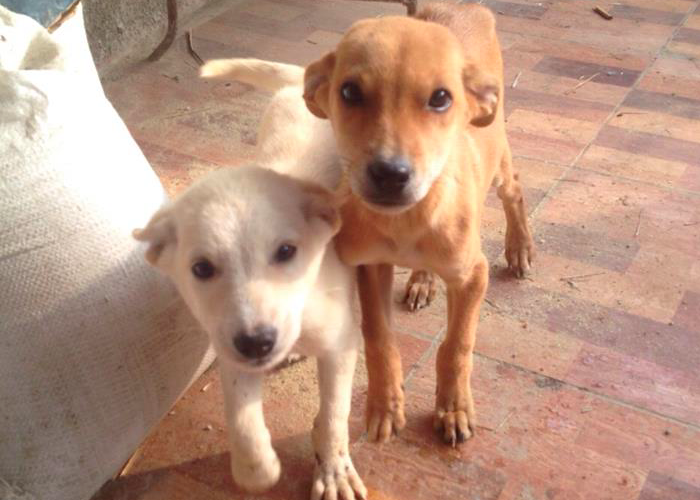 Our non-profit, Puppy Prodigies is blessed with volunteer water men and women who are very highly skilled, trained and experienced in surfing, dog handling, and the disabled community. 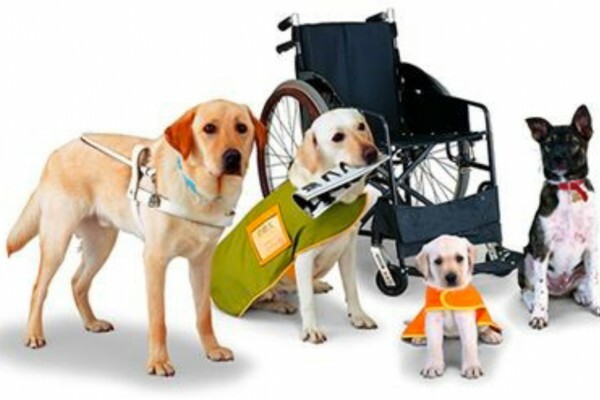 Couple that with an Executive Director who has a degree in service dog training, plus a dog who has extensive training as a service dog, and you have a team that prides themselves on high standards. 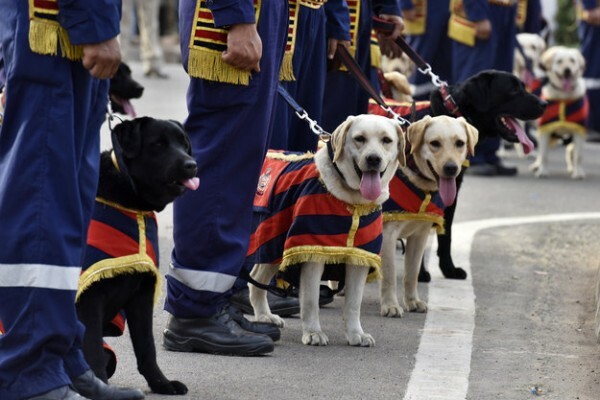 Our number one priority is safety and we abide by all the rules, regulations and laws governing the unique work we do. 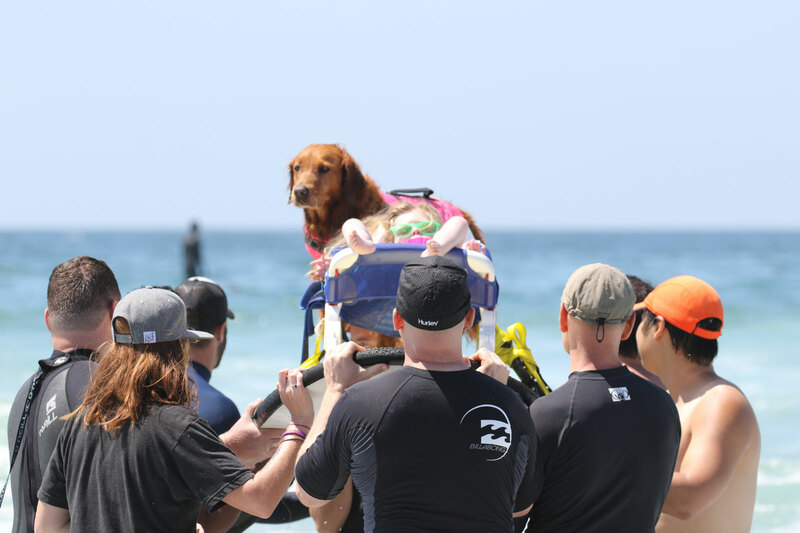 Our insurance covers Ricochet, those she surfs with, and our volunteers. It is because of these practices that we are able to provide these surf sessions with the utmost conviction. Thank you to Cure SMA, Ionis Pharmaceuticals, and especially the parents for trusting us with your children. 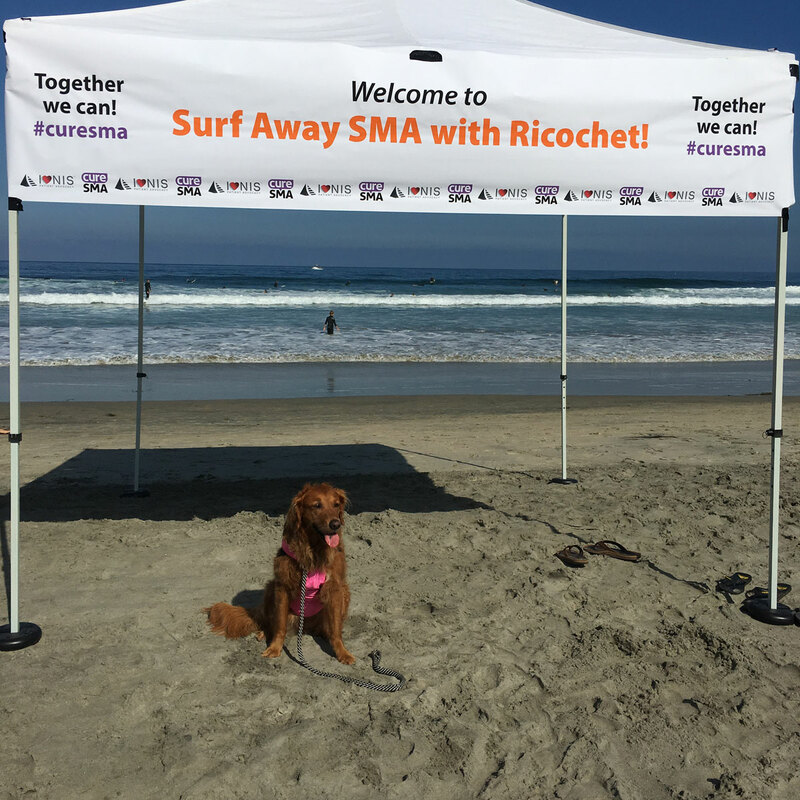 Ricochet was honored to help raise awareness of SMA. Please get on board and join her by sharing this inspirational story of children who have a spirit much stronger than the body that houses it. 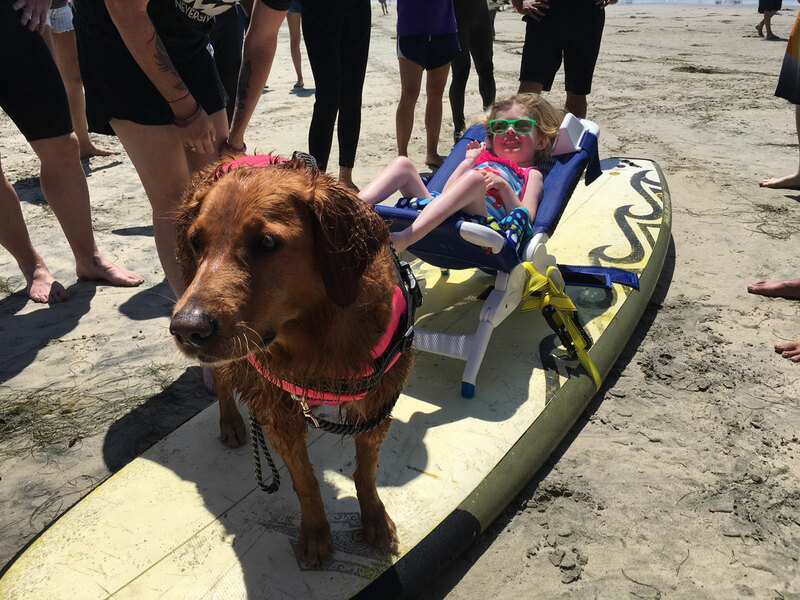 And be sure to watch the video below of a special surf session with Ricochet and Aaron who has type I SMA!